Food is the basic necessity of people everywhere in the world. Food industry is booming in recent times. In India, there are varieties of sweets, savouries and food items. Every state has its own traditional food, and every person wants not only to taste traditional foods but all flavours of India. There are different ethnic communities which are providing all the flavours to people. One such community is "The Agarwal Community". This community, from a very long time, has been involved in the business of sweets. The Agarwal community is doing very well in Bangalore by establishing various branches of "Agarwal Bhavan". The founder of this huge organization is Mr. Arvind Agarwal. How did the idea of Agarwal Bhavan come up in your mind? My great grandfather, grandfather and father have been in this business for a very long time, like 50 to 60 years, in Tiruchirappalli, Tamil Nadu. We shifted to Bangalore in 1990's and started the transport business in Bangalore. Earlier, I started the transport business with my brother and experienced accidents and other business issues. Food business being in my blood I made a re-entry into the industry along with the Transport Business running on the other hand. What all issues did you face while building this Organization? I believe that merely coming up with sweets business is an unorganized idea. The no. of diabetics is recently shooting up, only people below the age of 30 are the major consumers, and few buy sweets only during festivals. So, only sweet business was not ideal. Hence I came up with the idea of restaurants, chats, sweets and bakery items. Is only sweets business possible? Many big companies realized that only Sweets Business is not possible. Hence, they have entered into chats and restaurant sectors. Because chats are crowd pulling and restaurants are for people who love fast foods pure sweet business is ruled out. Have you thought of implementing technology in preparation of sweets and pastries? We implemented the technology, but we faced lot of troubles. In any industry if you are a fresher, step by step development is always better and if you go over fast, you won't be able to learn and implement. How do you get recipes for different sweets? Sweet business is a very old business. The world is not updated in the preparation of sweets. Every Sweet has its own traditional method of preparation. The old tradition of preparation of sweets is still being followed, because it has proved to be tasty. I get recipes through my links, circles and networks. You have good no. of branches now, how do you plan about distribution and future? If we have a small shop food can be prepared in the shop itself. But when you want to organize a small network, then the idea of centralized kitchen comes up. Here we can bring the professionals, machineries etc., to prepare the items. Another secret is, when you have a network, the food gets distributed and everyday fresh food can be served. This improves the taste, quality and hygiene. What are the processes that take place in a centralized kitchen? All sweets are prepared there. For chats, the gravy and puri is prepared in a centralized kitchen and spiced up in the hotel. 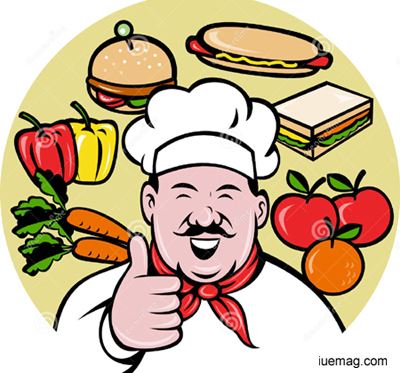 50% to 75% of food item is prepared in the centralized kitchen. From where did you hire the people for preparing sweets in Agarwal Bhavan? Do they also belong to Agarwal community? I have people from all over India. Bengali people prepare Bengali sweets, Orissa people prepare general sweets, UP and Bihar people prepare chat items. I hired them through links and links of links. How do you plan about future and branding of Agarwal Bhavan? Quality, taste and new recipes are the main focus areas. For example, we introduced a new sweet in India "Afghan Cham-Cham". It is made of all natural flavors and doesn't contain anything artificial. I am getting good response as people love it very much. Coming to branding, in Bangalore, you cannot find pure kesar or badam halwa. It's not the vendor's mistake; it is the cost of making these sweets that doesn't work out usually. The cost of kesar is 2 to 3 lacs per Kg, and to overcome this they use color. So, we look forward to use pure and quality items. Though my rates are 10% more than the market rates yet, I never sacrifice quality for money. How do you get to know the taste of people? Very easy! I hear through word of mouth, media and internet. I visit places, bring few samples of known dishes, research on them, and if I feel that they should be introduced, I find the best chef and hire them. Is there anything about the type of hotel you choose to build? Yes! If I build a Dhaba, people from upper class won't come. If I build a five starrer, lower and middle class people won't be able to avail the services. So I thought of mediocre hotel where people from all classes could come. I would focus on changing the mindset of people, who think that more the colors in sweets better is the taste. Various colors are added to prepare sweets, just to make it look beautiful, but the taste goes down heavily. I want to introduce colorless sweets and bring a change in the thinking of community. Healthy competition is always good, because there will be pressure and a will to improve daily. If there is no competition, we lose self-growth. What are the ideas and inputs you rely on? I feel people who provide quality will succeed in any industry. When you deliver better quality more people will get addicted to your brand. I head the research and development of my organization. Every time, before introducing any dish, I hire four chefs and ask them to prepare it in four different ways, which brings out a single dish prepared in sixteen different ways. The best of these dishes is selected for introducing in the market. With exchange of ideas and personal conversations, Mr. Arvind Agarwal displayed immense plans and with days to come, Agarwal Bhavan will surely emerge as a chain of hotels all across the city. We appreciate Souhard and Kashish from IU1010 for sharing this brilliant inspiring Story with us. Any facts, figures or references stated here are made by the author & don't reflect the endorsement of iU at all times unless otherwise drafted by official staff at iU. This article was first published here on 4th March 2014.